With more than twenty-five years of experience, Michelle Dykstra is one of coastal San Diego’s top real estate agents, consistently placing in the top 1% of real estate agents nationwide. Whether you’re looking for a beachfront mansion or a cottage to call your own, Michelle knows how stressful a move can be. With her inside knowledge of the market and the communities in coastal San Diego, Michelle takes the worry out of finding the perfect home to fit your needs. Originally from Marin County in Northern California, Michelle moved to San Diego in 1984 to attend San Diego State University. Having grown up in the real estate business, she held her first open house at age 14, and began her residential real estate career in 1988 in the La Jolla marketplace. Married with two children, Michelle has lived in La Jolla since 1998, and is active in fundraising for local schools, on the Board of Directors for the La Jolla Women’s Club, active in the Bird Rock Community Council, a member of the San Diego Junior League, and an avid philanthropist. Well-known in the community as the “Queen of Bird Rock,” Michelle has a strong client base of qualified buyers for the La Jolla area. With great pride she brings her decades of hard-earned experience to every successful real estate transaction. 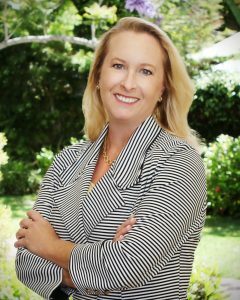 As a result of her work ethic, extensive experience, and market knowledge, she is consistently sought out by principals from all over as well as by out-of-area agents representing an assortment of buyers seeking properties in La Jolla. Ralph Knox Award 2017 – Presented by the La Jolla Real Estate Brokers’ Associations & Awards for salesmanship, personal integrity, cooperation with peers, and service to the community.